We begin the mural process for the Popular Theater. “We are from Palestine and you are from the United States, but we both speak the same human language – creativity.” says Fathi Ali, the director of The Popular Theater, after a long day of meeting,designing, transferring, painting. He is a well known and seasoned artist and activist – for over 45 years. He told us he was offered the Position of Minister of Culture, but didn’t want to be a bureaucrat. He has continued to dedicate himself to radical peoples’ theater. He is a warm, calm man, who is clearly a loved leader. For a month in the summer he runs a children’s theater camp. It’s a great atmosphere here. After meeting with him and others in the theater company, and being given photographs etc., it was decided that the mural will have scenes from many previous productions, and will be up during the camp, and then be used as a backdrop for performances in the many villages and camps, where they do free performances to bring culture, laughs, consciousness, and respect to the people. 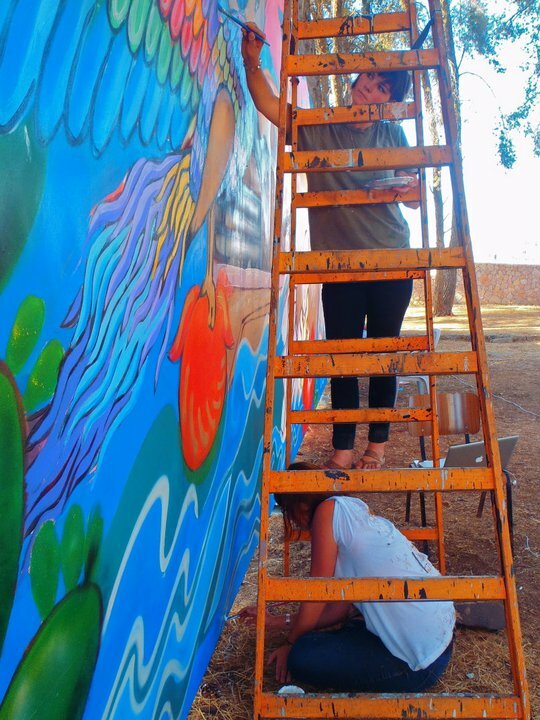 We spend a day and a half with our entire Brigade beginning the mural. In spite of everything, this theater collective is one of the most creative and laughing groups I’ve ever met. serious and zany, continuously creating, improvising,meeting, being together, and easily including us. We will finish the theater camp mural soon,which has brought in a whole new circle of theater artists, and great kids,who have been wonderful, funny, and helpful. The pic is only some of them. Happy to give back to this raucous ,serious, loving group of actors. My anger builds at the racist/xenophobic stereotypes of Palestinians, when person after person after family are so warm, welcoming, unbelievably hospitable. And resiliant! Like Fathi Ali said, the Palestinians are thought of as either terrorists or victims, when what they are is simply human beings, who make mistakes, who laugh and cry, and who have a history and a culture, and will resist their oppression. It has been lovely to paint at the camp, with much involvement. They actually made us a wall – welded big pieces of metal lathing to make a frame 9 feet by 40 feet, stretched it with canvas, and primed it, while we were designing and consulting with them about images. They will be able to deconstruct when the camp is done, and are going to use it for their next production. We paint on Theater Camp mural, with many kids and adults joining in. In the afternoon the aerosol artists go to Silwan to paint. 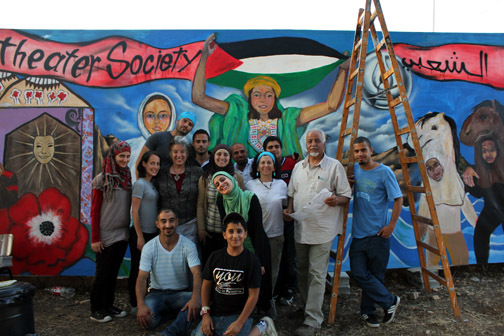 Susan and I stay to finish the mural at the theater camp in Ramallah, and the remaining 5 members will go to the Erez Gate and cross to Gaza to begin the murals there. 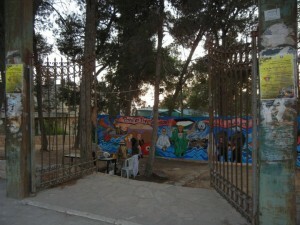 Today was the opening ceremony for the Maia Mural Project at the New Gaza Boys School. 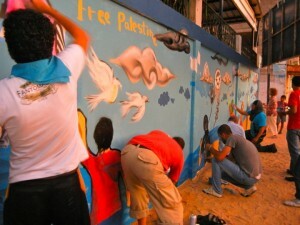 There were Palestinian dignitaries from several organizations as well as our Maia Mural Brigade. The children helped to put the finishing touches to the mural. I think it looks outstanding! 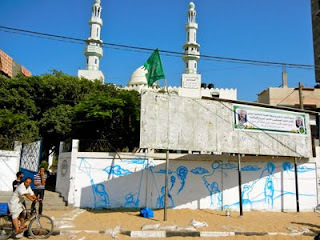 I was privileged to visit and conduct an art therapy session with the Palestinian children at the Qattan Centre for the Child (QCC) in Gaza City. 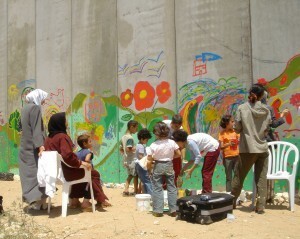 QCC is a non-profit cultural and educational institution which focuses on the basic needs of the Palestinian children. With the aid of my Russian interpreter, Natach, the children told me about the water problems they contend with on a daily basis in Gaza. Pollution, lack of water, misuse of water, and their difficulties were the themes in their art. One of the children drew a picture of the Israeli bombs and the white phosphorous which was dropped on the citizens of Gaza. The children made it very clear the problems they live with in Gaza. 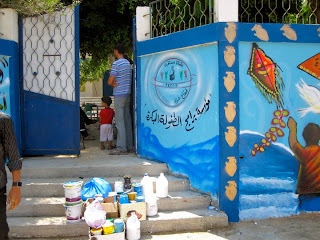 Today I returned to the Afaq Jadeela Association in Mukhaim El Jadeed to create art with the children. Water is a big issue here in Gaza. The children are asking for clean water to drink. 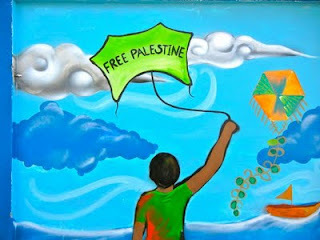 As part of the Maia Mural Project we will paint murals around Gaza. I asked the children to create pictures about water. Their pictures told the story of the water pollution and the need for fresh water and a cleaner environment. The most interesting part of being “lost in translation” was that after I passed out the boxes of crayons and paper, the children just sat there. I did not know what was wrong. Majd came with pencils and the children began drawing. Here are some photos of these sweet, beautiful children who graced my day. 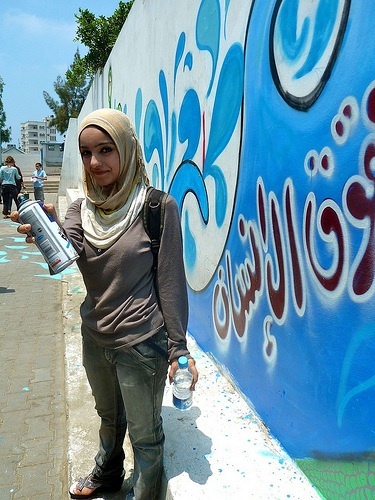 The MAIA Mural Brigade (Maia means Water in Arabic), organized by Break the Silence Mural and Arts Project brings together a national team that includes: activists, trauma therapists, muralists, filmmakers, Estria Foundation Water Writes Project, Olympia-Rafah Solidarity Mural Project and Afaq Jadeeda (New Horizons) to create collaborative murals with Palestinian youth and artists including Mohammad AlDeery and Luai Negim. The murals are located at schools in the Gaza Strip where water purification systems installed by the Middle East Children’s Alliance are providing clean drinking water to 30,000 children. 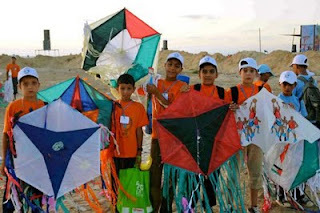 The Middle East Children’s Alliance (MECA), Berkeley CA, has worked for 25 years to provide on-the-ground humanitarian aid to children in the Middle East. MECA’s MAIA Project was launched in response to a vote by the Student Parliament at the UN Boys’ School in Bureij Refugee Camp, Gaza. The students were given the opportunity to choose one thing they most wanted for their school: They chose to have clean drinking water. The water crisis in Palestine continues to worsen particularly in Gaza where desalination plants were bombed in Israel’s Operation Cast Lead assault in 2008/2009. 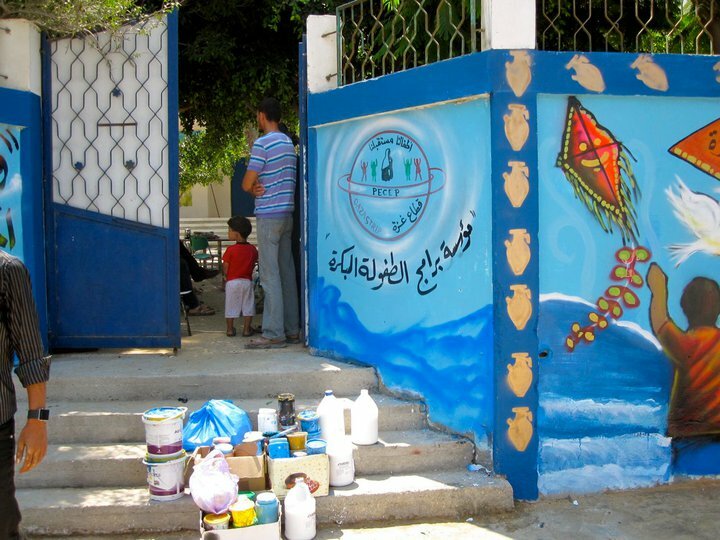 Working in partnership with community organizations in Gaza MECA’s MAIA Project has provided clean water to 14 large UN schools in Palestinian refugee camps and to 13 kindergartens in refugee camps, towns, and villages. The systems are funded by grassroots organizing efforts in the USA. 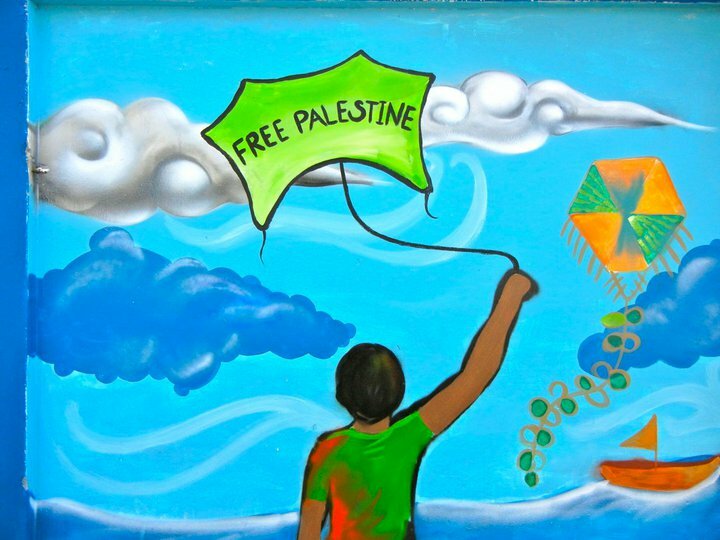 MECA has learned that there was a concerted effort by pro-Israel organizations in the San Francisco Bay Area to pressure the museum to reverse its decision to display Palestinian children’s art. “We understand all too well the enormous pressure that the museum came under. But who wins? The museum doesn’t win. MECA doesn’t win. The people of the Bay Area don’t win. Our basic constitutional freedom of speech loses. The children in Gaza lose,” she said. The free exhibit, co-sponsored by nearly twenty local organizations, was scheduled to open on September 24, and featured special activities for children and families, including a cartooning workshop and poetry readings. 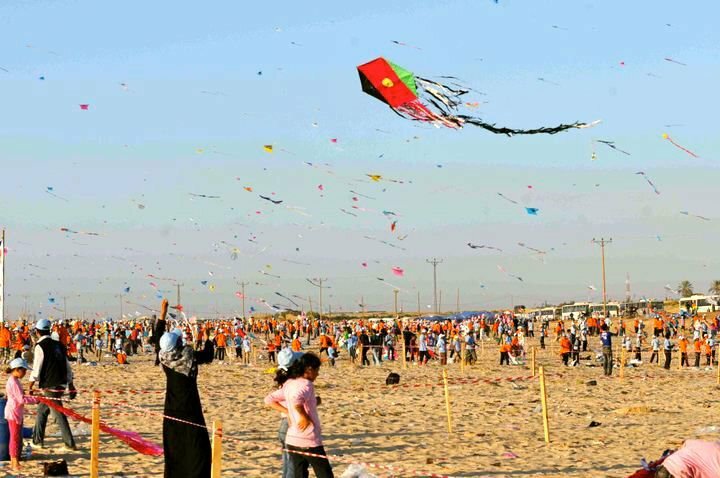 The Gaza Strip, which has a population of 1.6 million, has been under siege since Israel imposed a blockade against it in 2006. The United Nations and many human rights organizations across the world have condemned the blockade as an inhumane and cruel form of collective punishment. “Even while the children in Gaza are living under Israeli policies that deprive them of every basic necessity, they managed through art, to express their realities and hopes. It’s really very sad that there are people in the U.S. silencing them and shredding their dreams,” said Ziad Abbas, MECA’s Associate Director. 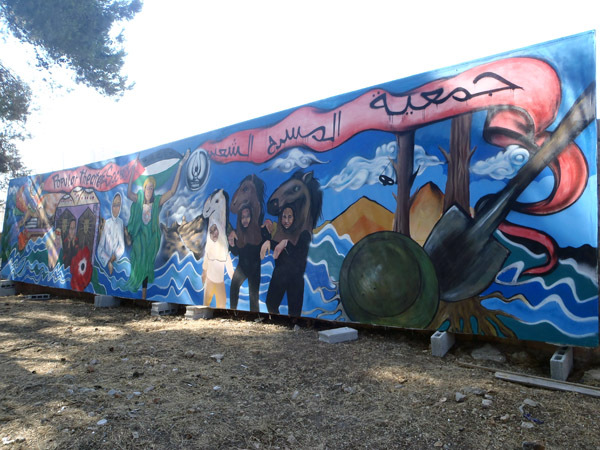 MECA is disappointed in the museum’s decision to deny Bay Area residents the opportunity to view Palestinian children’s art, and is committed to seeking an alternative venue. “We made a promise to the children that their art will be shown and we are going to keep that promise,” said Lubin. 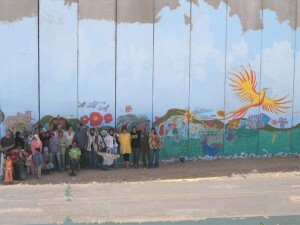 Photos and Video from the MAIA Mural Brigade will also be on display. 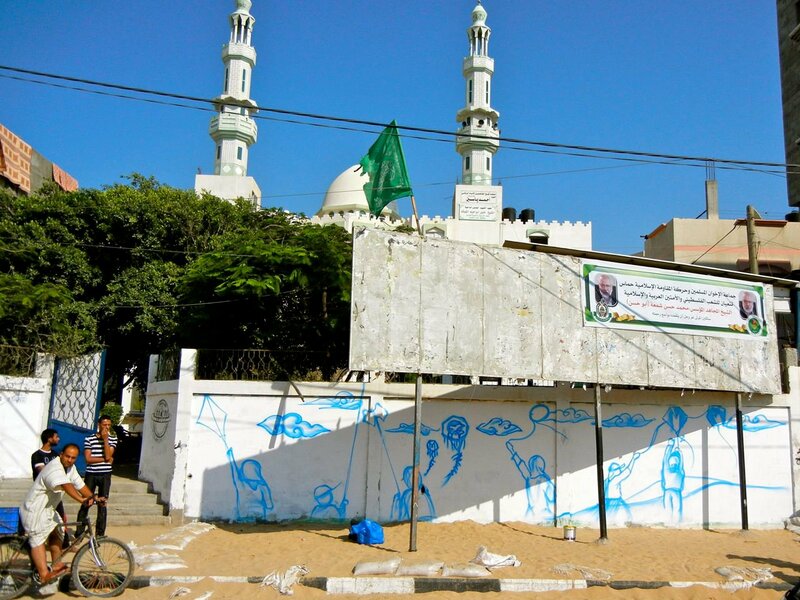 “A Child’s View From Gaza,” an art exhibit by Palestinian children ages 8-14 that reflects their realities and their dreams for the future. Many of the children whose pieces will be featured were participants in a MECA project called “Let the Children Play and Heal”. Read “Little Successes” a blog update about the project from Dr. Mona El-Farra! International Board of Books for Young People – Palestine section, The Estria Foundation, SF Arab Cultural and Community Center, Arab Resource and Organizing Center, Global Exchange, Green Youth Arts and Media Center, Break the Silence Mural Project, Dignidad Rebelde, Voices of the Middle East and North Africa, Bay Area Women in Black, Palestinian Youth Movement, La Pena Cultural Center, Golden Thread Productions, Interfaith Peace-Builders, and more! Due to the graphic nature of some of the images, adult supervision is advised. 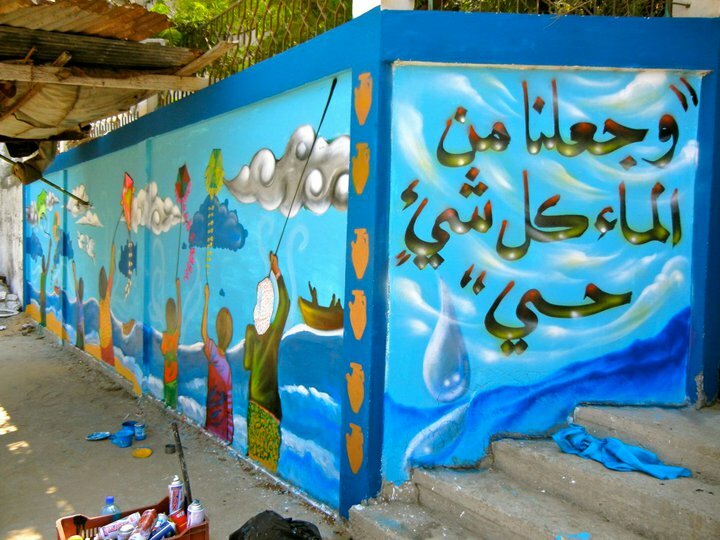 Our second mural in Gaza as part of the Maia Mural Project was painted at Al-Shati Kindergarten, in Beach Camp, on the outside wall. 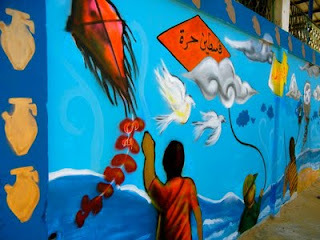 The inspiration came from one day at the Summer Camps that take place in Gaza City. 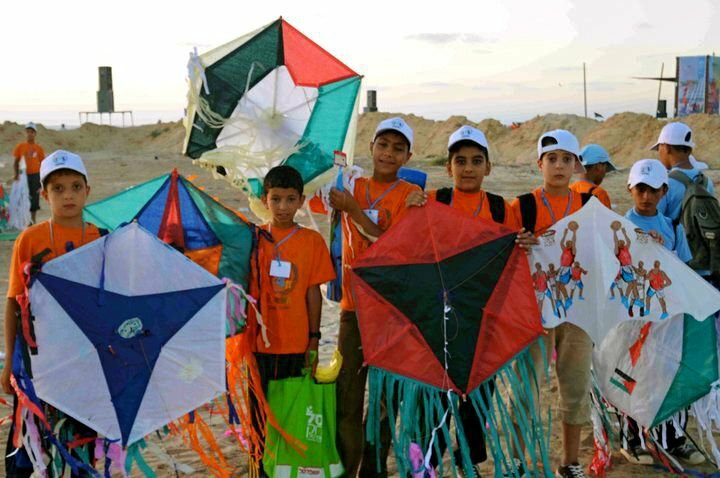 About 15,000 schoolchildren in the summer camps of UNRWA (United Nations Relief and Work Agency) flew around 10,910 hand made kites. 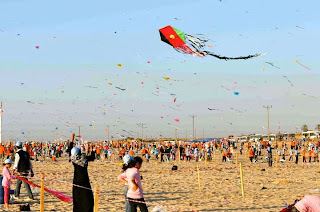 It broke the record registered last year in China when people flew 10,565 kites. Come out n Celebrate the Completion of 5 of the 10 Water Writes Murals hosted by the Estria Foundation! 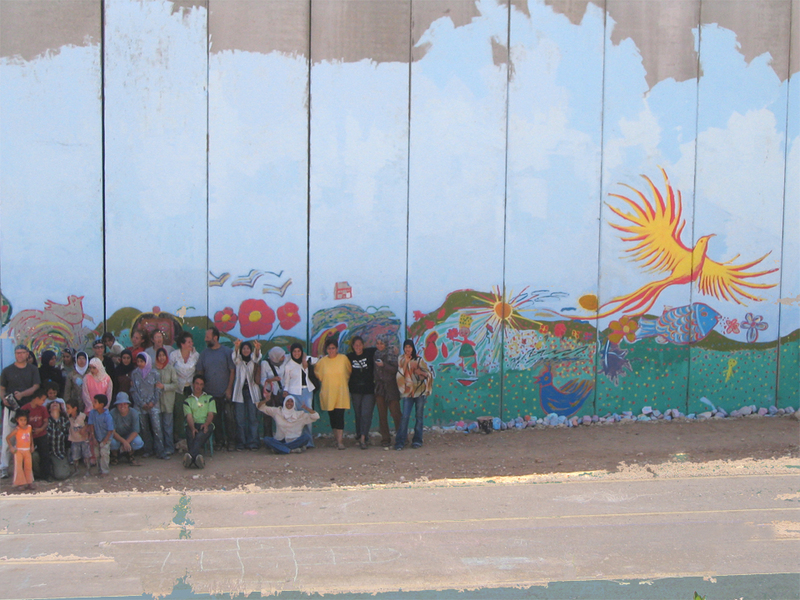 Muralists who traveled to Hawaii, Palestine, and the Philippines will share their videos, photos, and stories. 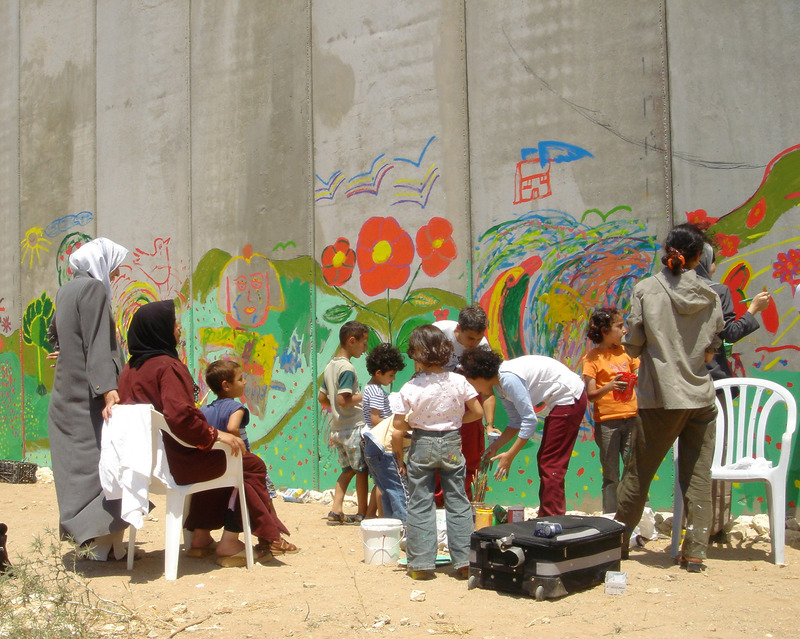 The MAIA Mural Brigade brought several groups, institutions and projects together including: Break the Silence Mural And Arts Project; the Middle East Children’s Alliance; The Olympia-Rafah Solidarity Mural Project and the Estria Foundation. 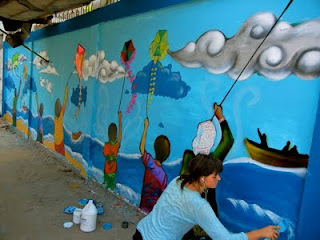 MAIA Mural Brigade is honored to be one of ESTRIA Foundation’ s WATER WRITES Projects. This is the first report-back from MAIA MURAL BRIGADE! Al-Shati was established in 1948 for about 23,000 Palestinians fleeing the cities of Jaffa, Lod and Beersheba as well as surrounding villages. Hebron from Arwen King on Vimeo. I have heard the comparison for years, that South Africans who lived under apartheid have traveled to Palestine and reported that what they have seen there is comparable — or possibly worse — than what they experienced in South Africa. It wasn’t until I traveled to Hebron (or Al-Khalil) that, for the first time in my life, I saw with my own eyes examples of the policies they are talking about. Our guide for the day was Palestinian journalist Hisham Sharabati, whose family has lived in Hebron for generations. He told us the history of Hebron, focusing on the modern day pilgrimage of ultra-orthodox Jewish settlers to the West Bank’s largest city. At present time there are around 500 settlers living in Hebron. Between 1,500 and 2,000 Israeli Defense Forces (IDF) soldiers are present on a daily basis to secure the safety of the settlers. Regardless of the fact that these settlers (and the government of Israel by association) are violating international law with their presence, the IDF often acts as a buffer for the settlers to commit violent assaults and other crimes against the Palestinian inhabitants of the city. In the Old Quarter, over 1,400 Palestinian owned shops have been forced to close by the IDF for “security” purposes. Many of these shops have even had their doors welded shut. This left me wondering what would happen to the shops once the illegal settlers were forced to leave. It didn’t take long to dawn on me that removal of the settlers in Hebron is not part of Israel’s long term vision for the area. Throughout the city we observed metal gates that were installed over the windows of Palestinian homes. Hisham explained that the gates were in place to fend off stones which are thrown by settlers in an attempt to break the windows on the apartments. 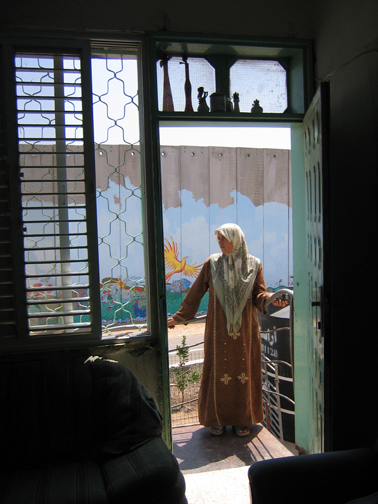 Similarly, Palestinian shop keepers in the Old Quarter have installed a chain link fence above their shops, running the length of the walkway. Resting now on the chain link is a variety of objects which have been thrown from the settlers living in the higher stories above the shops, in an attempt to hit those walking below. Objects that have been thrown include stones, bricks, bottles of urine, knives, and even acid. These actions are rarely addressed by the IDF presence. As we walked around the city, Hisham pointed out a long chain of standard concrete barriers, splitting a road down the middle. He assured us that we must walk on the right side of the barrier because, as we had a Palestinian tour guide, were only allowed to walk on that side. The other side was reserved for the settlers. As we returned from our tour of the lower region, and once again reached the concrete barriers, I noticed an IDF checkpoint at the top of the slight incline. Just beyond the checkpoint, perhaps 25 feet away, was a series of Palestinian owned shops. Hisham turned to us and said “I’ll have to ask permission,” and proceeded to question the soldier as to whether or not we were allowed to pass and visit the shops. Perhaps the most obvious case of an apartheid-like system was during our visit to the Ibrahimi Mosque at the Cave of the Patriarchs, to which entry is also controlled by an IDF checkpoint. In order to enter you must submit to a bag search, show your passport, and walk through a metal detector. Including those on the delegation and Hisham, there were twelve of us visiting the mosque that day. Eleven of us had a U.S. passport, one had a Palestinian passport. One person had their passport held by the Israelis for the duration of our visit in order to run a background check. I’ll let you guess which one of us it was. Of course these are just a few examples of Israeli poicy that garner comparison to apartheid. 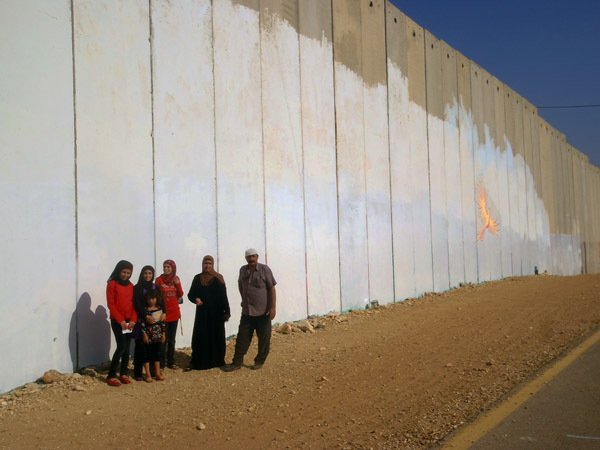 The “separation barrier” (read: apartheid wall) enclosing the West Bank, the inequality of rights for Arab citizens of Israel, and the construction of Jewish-only roads and highways are a few more. Without reverting to a lengthy, academic conversation about the comparison to apartheid, I will just say this — anyone who asserts that Israel is not practicing policies of apartheid should be immediately required to spend just one day in Hebron. On July 26th I flew into Tel Aviv’s Ben Gurion International Airport for the first time. Although I had never been to the region before, the buildings did not seem unfamiliar to me. I had painted a mental picture of the airport based on the accounts of dozens of my friends who had traveled to Israel in the past. I approached passport control, and very luckily for me, was asked only three questions before my passport was stamped with a three month visa. Perhaps my luck was based in the fact that –on some level – I lied. The reason I gave less-than-truthful answers to the customs agent’s questions, and the reason I withheld as much information as possible, is because Israel has a well documented, long history of denying entry to Palestine solidarity activists. 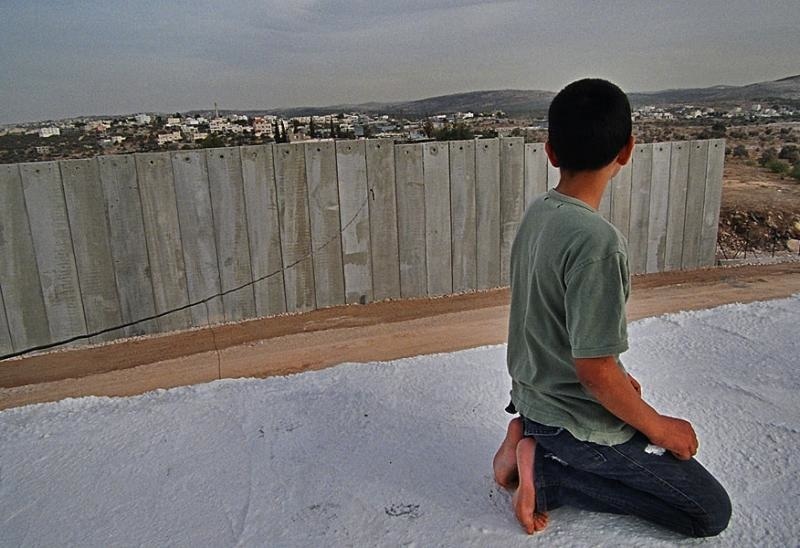 The product of Israel’s failed policies, from the West Bank to Gaza, is the constant scramble to hide Israel’s dirty little secret – their occupation of the Palestinian Territories. The reality of these policies for those who wish to travel to the Palestine is that they must remain less than honest when traveling to Israel, in an attempt ensure that they are granted entry. The fact that Israel illegally occupies the West Bank and Gaza (along with the Golan Heights) is not lost on the international community. However, the specific consequences of Israel’s illegal occupation, siege, and blockade are not widely witnessed by the majority of the world’s population. This lack of witness is due in part to Israel’s calculated attempt at keeping internationals out of the Occupied Territories. And so as hundreds of non-violent Palestine solidarity activist are being detained, arrested, and deported during Israel’s response to the current “flytilla”, the question must be asked – what is Israel trying to hide? 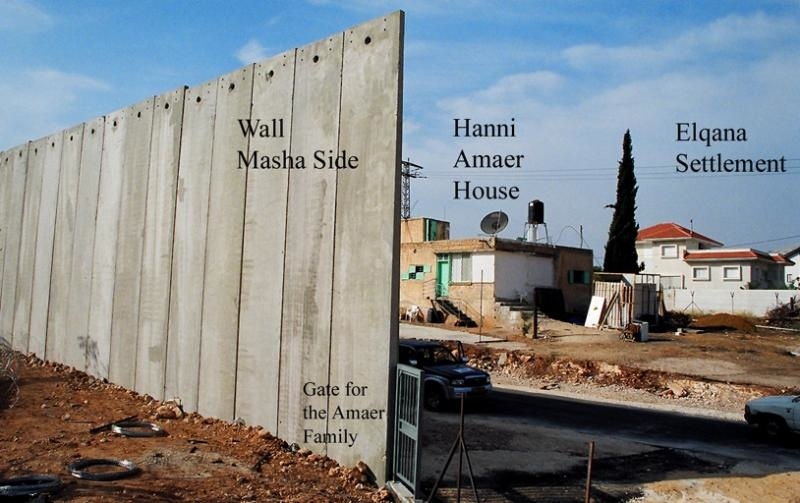 Perhaps it is the overwhelming presence of the illegal Jewish only settlements that seem to be springing up on the top of every hill within the West Bank. 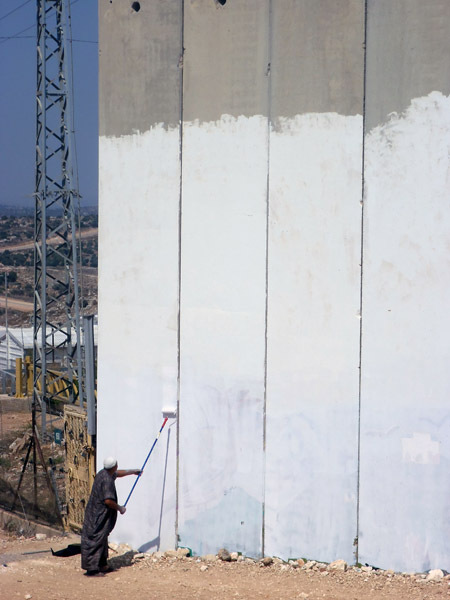 Perhaps it is the continued construction of the daunting apartheid wall, which was deemed illegal by the International Court of Justice in 2005. 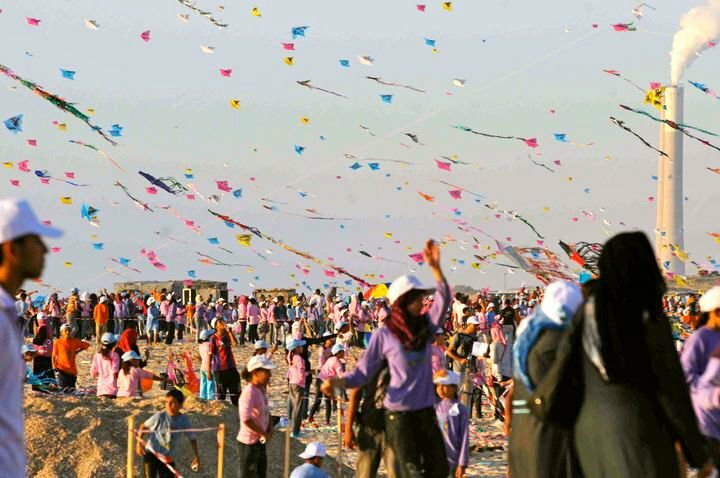 Perhaps it is the ramifications of the illegal blockade of Gaza, which has been imposed since 2007, leaving Gazans battling widespread poverty, a territory wide water crisis, and facing one of the world’s highest unemployment rates. This leaves those who are responsible for, and apologists for, these failed policies in a rather uncomfortable position – attempting to defend the indefensible. In the end, this is what Israel is trying to hide. We have arrived! More very soon!